My father would make the best pancakes from scratch. They were perfect every time. I had always tried to replicate his recipe but without success. 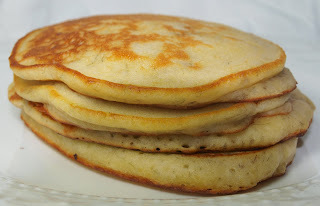 A few years ago I discovered a pancake mix recipe that has come very close to my father's recipe. As a result, I haven't bought a box mix in years. My Husband and son love banana pancakes. Growing up banana pancakes were a treat. You can add banana, blueberries, chocolate chips, cinnamon anything you like to this and they'll still be great. Combine dry ingredients in a medium size bowl. Combine wet ingredients together. Add wet ingredients to dry. 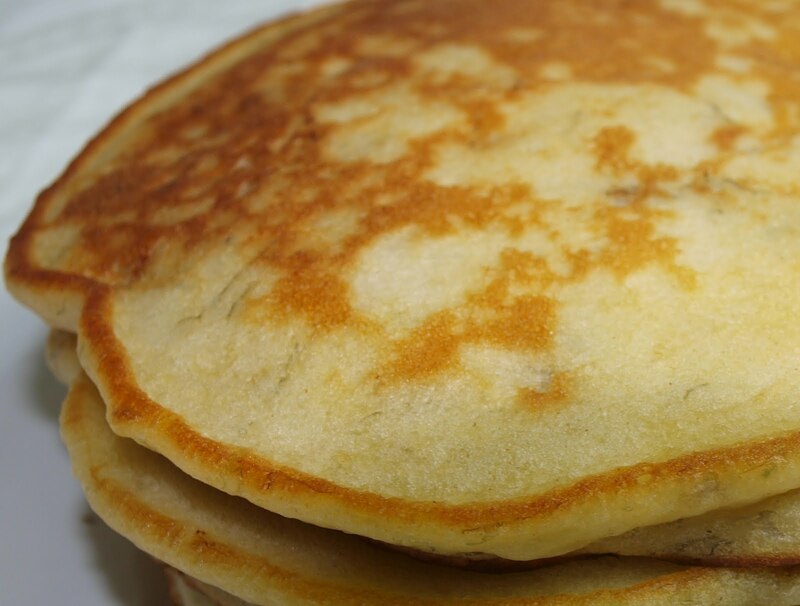 You may add more milk depending on how thick/thin you like your pancakes. Mix until just combined. You should still see a few lumps, however this recipe is very forgiving. (At this point I make a few pancakes for my daughter. She prefers them plain.) Add mashed bananas and mix until combined. Skillet should be hot. I actually cook my pancakes in melted butter, I love the flavor. Pam or oil can also be used.